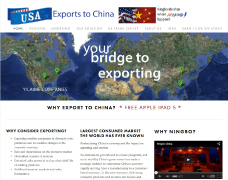 AmericaTowne® Tourism Development and Trade Centers in ten locations in China. The Tourism Development and Trade Center provides unique one of kind community for people in the local area to go spend their leisure time in a great quality of life setting. The Tourism Development and Trade Center located on 1,000 mu consists of 50 unique businesses, a 5 star hotel, 50 villas and a theme park all fashioned after the American way, business, and life style. AmericaTowne® fashioned after Chinatown in the United States cities of New York, Chicago, Washington, DC, and San Francisco will bring to China the best of the American cultural. A “one of a kind project” displaying the American Spirit and fostering good will between the United States and China. AmericaTowne® development supports the U.S. economy and its markets by not only employing the required people for the EB-5 program in the USA, all of the products and services offered in AmericaTowne will come from the U.S.